During the 16th century a period in Church History known as The Protestant Reformation took place which we remember and celebrate today as Reformation Day. Martin Luther and other reformers, were convicted that the church had departed from many of the core teachings of Christianity which should be grounded in the Word of God and this was the catalyst for their actions to work to try and correct this. They came to this reality because sadly, they saw that the core teachings of God's Word was at times in stark contrast to what they saw the church teaching in that period of time. Because of this, The Reformers worked to realign Christianity to The Word of God. Through this period of time five key phrases which helped summarize their convictions about the core teachings of Christianity surfaced. These are also known as the Five Solas as they were latin phrases. 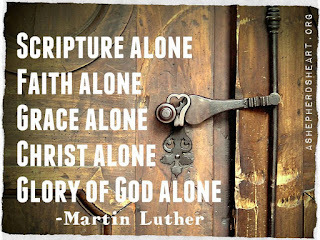 Sola Scriptura: “Scripture alone” - God's Word alone is our highest authority. Sola Fide: “faith alone” - Salvation is through faith in Jesus Christ alone. Sola Gratia: “grace alone” - We are saved by the grace of God alone. Solus Christus: “Christ alone” - Jesus Christ alone is our Lord, Savior, and King. 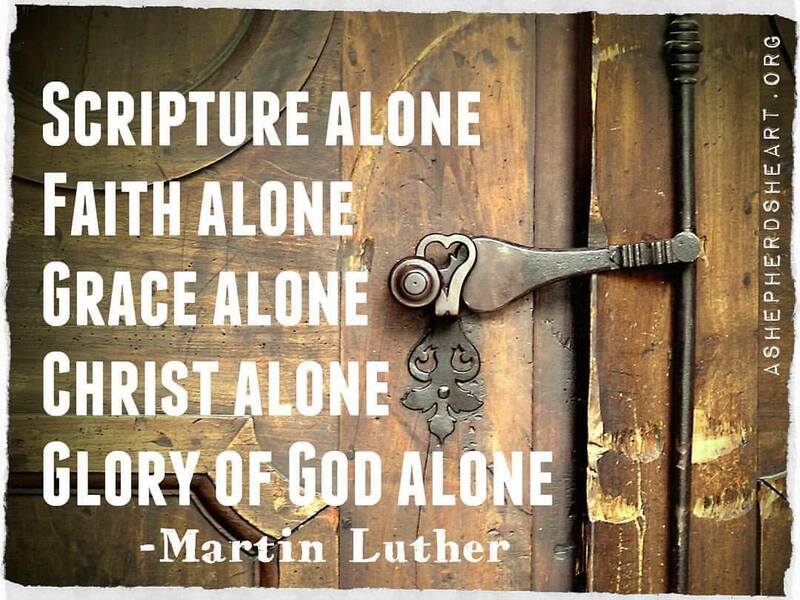 Soli Deo Gloria: “to the glory of God alone” - We are to live for the glory of God alone. It was with great cost, (some of The Reformers gave their lives during this time due the great opposition they faced) that we as follower's of Christ can enjoy studying God's Word and being instructed from God's Word in our Church meeting place as part of the body of Christ. I encourage you to study this important time within Church History and do your part to re-calibrate your faith daily to the core teachings of God's Word and live them out! Sola Scriptura, Sola Fide, Sola Gratia, Solus Christus, and Soli Deo Gloria! May God do a reformation in us through His continued transforming work renewing us heart, mind and soul!